Welcome to the website of Graymoor Ecumenical & Interreligious Institute. It’s our pleasure to provide you with information about the work of GEII and the ecumenical and interreligious dialogue movements. Graymoor Ecumenical & Interreligious Institute is a ministry of the Franciscan Friars of the Atonement, a Roman Catholic religious community of brothers and priests in the tradition of St. Francis of Assisi and the founder of the Society of the Atonement, Father Paul Wattson, SA. Paul Wattson was an early pioneer of the ecumenical movement in the United States. From his friary at Graymoor, in Garrison , NY, he contributed to the founding of what is now the Week of Prayer for Christian Unity and identified the primary work of the Friars of the Atonement to be that of Christian unity. After the Second Vatican Council, when the Catholic Church made a full commitment to the modern ecumenical movement, the Friars of the Atonement established what was then called Graymoor Ecumenical Institute, first at Graymoor and later at its present location at the Interchurch Center, 475 Riverside Drive, New York, NY. As a ministry of the Friars of the Atonement, Graymoor Ecumenical & Interreligious Institute promotes Christian unity and interreligious dialogue in North America. Study and Research in the ecumenical and interreligious movements through writing, workshops and participation in dialogues between and among the churches as well as with different faith communities at the local and national level. Resources for Others by offering personal expertise on ecumenical and interreligious matters; making staff available upon request for lectures and short courses; offering information to news media, researchers and all who come to this website. 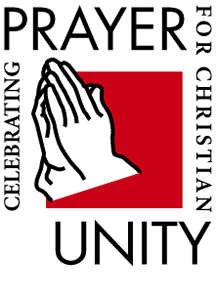 Publications of the journal, Ecumenical Trends; publication and distribution of resource materials for the annual observance of the Week of Prayer for Christian Unity. Co-Sponsorship of the biennial Northeast Ecumenical Institute at Graymoor; faculty participation in an annual summer course which introduces students to ecumenical and interreligious movements, presented at the Centro Pro Unione in Rome. Memberships in the Faith and Order Commission of the National Council of Churches, the North American Academy of Ecumenists and the Council of Centers on Jewish-Christian Relations, among other networks. The Catholic Press Association recently recognized Ecumenical Trends, a publication of the Franciscan Friars of the Atonement, in its 2018 Catholic Press Awards program. Ecumenical Trends is a monthly (except August) journal that publishes articles on the ecumenical and interreligious movements. The journal reports on current trends and progress in these movements around the world. Fr. James Loughran, SA, Director of the Graymoor Ecumenical & Interreligious Institute, serves as the editor of the journal. Ecumenical Trends received an Honorable Mention in the category Best Magazine/Newsletter of the Year: Professional & Special Interest Magazine (Including Clergy & Religious). Find out more about Ecumenical Trends here.